The highly customizable Halo 4 location known simply as Forge Island has unexpectedly released today for all players to enjoy. Previously announced for an April 11 release at last week’s PAX East, the flattest, most changeable map around can now be downloaded off the Xbox Live Marketplace. Forge Island acts at the perfect canvas for all the creative Halo 4 artists to work with, as the mostly empty environment allows for true masterpieces to be crafted. 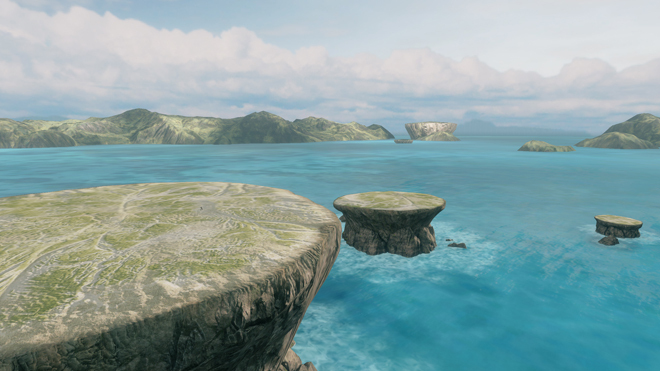 You’ll have to search Forge Island on the Marketplace to find it, as Halo 4’s hub was seemingly unprepared for the content’s early release. But it’s tough to complain when a free additional map arrives two week’s early. Are you still playing Halo 4? If not, will Forge Island bring you back? Let us know what you think by leaving a comment below!